The Brazilian graphic designer works as creative director at “Adbusters”, a collective of artists, philosophers, drop outs and wild hearts. Pedro strives to create design campaigns that advance social and political change. The campaigns criticise large companies and consumerism, hold corrupt politicians accountable and encourage our thoughtless and complacent culture to think for itself again and take responsibility. 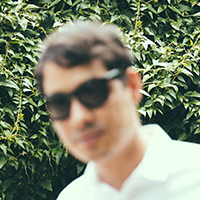 Pedro writes columns for WARP Magazine and Shiseido. In the past he worked with David Bowie, Damien Hirst and Ryuichi Sakamoto, among others, and exhibited his works in Korea, Japan, France and Great Britain. Annie Atkins’ first job as a graphic designer was for “The Tudors”, paving her way in the film industry. Since then she has designed and produced various graphic elements for film sets, ranging from newspapers and love letters to entire backdrops. 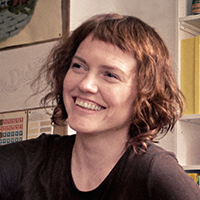 Annie also worked on several movies that were nominated for Oscars – “The Boxtrolls”, Spielberg’s “Bridge of Spies” and Wes Anderson’s “The Grand Budapest Hotel”. She has degrees in communication design and film production. On top of working on film sets, she passes on her expertise in workshops in her own studio and gives lectures. She won the Academy Award for “Best Production Design” for her work on “The Grand Budapest Hotel”. 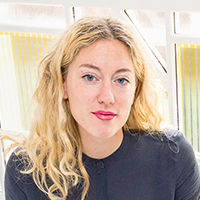 Marjan van Aubel is a solar designer and co-founder of the design collective Caventou. Her innovative work encompasses the fields of sustainability, design and technology. She focuses on using intelligent design to create a “solar democracy”. This involves integrating solar panels into windows, furniture and other objects, thus making solar technology part of our lives in an aesthetically pleasing way. Her goal is to make solar energy socially acceptable. Marjan teaches at the Design Academy in Eindhoven. In 2017 she was voted “Designer of the Future” by Swarovski; in 2016 she received the Wallpaper Design Award and WIRED’s Innovation Award. 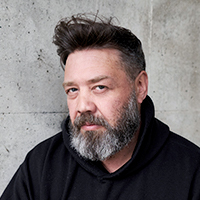 Eike König founded HORT in Berlin – a design office for visual communication. Its portfolio includes ARTE, Bauhaus Dessau and Nike. Eike’s work not only provides answers, but also stimulates political discourse. His special priority is to promote young people. Since 2011 he has been professor for illustration and graphic design at the Offenbach Academy of Design (HfG Offenbach). Both at the academy and in his design office, Eike is first and foremost a mentor – not a boss or a teacher. He strives to spark creativity and courage by working in a liberal and inspiring way. 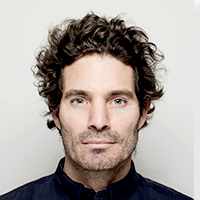 Daan Lucas is founder and managing director of Random Studio – a design studio that creates immersive experiences. These experiences involve interactive installations related to brands and products, opening up new perspectives in physical space to the viewer. Daan has not pursued a typical career in design. He first studied law before giving it a go in the world of advertising and programming on his own. He quickly realized that there were people who were much better at advertising and programming than he was and founded Random Studio – an open office for designers and artists of all kinds. 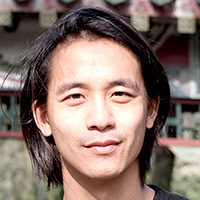 Mathew Leung is co-founder of “Assemble”, an interdisciplinary architecture, design and art studio specializing in the planning and implementation of workspaces. Mathew has managed projects including “The Cineroleum”, a pilot project to reuse 4000 unused UK petrol stations, and “Blockhorse Workshop”, a workshop in Waltham Forest which is open to the public. Assemble’s project “Granby Four Streets” won the Turner Prize in 2015. In addition to his work at Assemble, Mathew lectures in cultural and educational institutions around the world and publishes his research in RIBA Journal and with JOVIS Publishers, among others. His Master’s thesis was awarded the RIBA President’s Silver Medal. 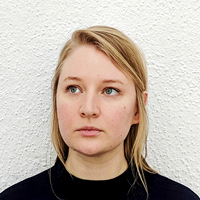 Since her studies in insectology and product design at ArtEZ in Arnhem, Matilde Boelhouwer has worked in an interdisciplinary manner in the fields of design, art and biology. In her work, she strives to generate ideas that are not only beautiful but also have an added value. Matilde sees insects as a subject, material and source of inspiration, discovering the vital role they play in our ecosystem. Her designs aim to show new possibilities and perspectives and make society aware of the importance of the environment. As part of her “Food for Buzz” project, Matilde developed artificial flowers in Atelier Boelhouwer that transform rain into sugar water in order to serve as a food source for insects in urban areas. 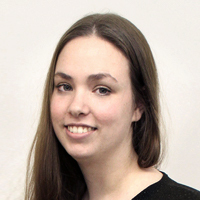 Mary Katherine Heinrich is an interdisciplinary researcher working on self-organizing and bio-hybrid robotics. Mary Katherine works at the Institute of Computer Engineering at the University of Lübeck and is part of the “Flora Robotica” research team. “Flora Robotica” is a Europe-wide research project made up of architects, biologists, engineers and computer scientists. Its aim is to investigate ways in which plants and robots can benefit from each other in a symbiotic relationship. By combining different disciplines, the research team wants to develop independently growing, adaptive and self-repairing plants which will autonomously produce architectural artefacts and living environments in the future. The vision of the research team is that the intelligent plants, guided by robot swarms, will enliven our cities in the long term.